When it comes to clutter in your home, evaluating an items ‘worth’ isn’t always easy. On the one hand many of your belongings will spend most of their shelf life unused, sitting in the corner of a room. On the other you know that once or twice a year, you will absolutely need it. Herein lies the problem, how do you decide what constitutes necessary clutter and just, well, clutter? Well we might just have a third option for you. Let’s say you love the idea of having home cinema, for those occasions where you want to stay in and veg out, but just don’t have the space. Renting a projector rather than committing to actually owning it means that you reap all the benefits without having to take on any long-term responsibility. It also works the other way in that ownership no longer has to be a burden but can be an asset. That bicycle that lies unused in the hallway, that sound system the neighbours won’t let you use, they can find themselves useful once more as a source of revenue. Before long you’ll have made back the original cost and after that you’re making pure profit. Clutter, besides being irritating has a much darker consequence: waste. The average American produces just shy of 400 kg of waste per year, which mostly goes into landfill. This is not only costing the country billions of dollars to dispose of but it’s also choking our ecosystems. As such our relationship with consumerism needs to change and the idea of ‘sharing’ has the potential to do this. By choosing to rent rather than outright buy, you are breaking the production cycle, and opting to invest in a sustainable ‘circular economy’. On a personal level this reduces your carbon footprint and also saves precious raw materials. Besides all the serious, moral implications, renting will help you to save money whilst also opening up a world of possibilities. So often, spontaneity, creativity and audacity are limited by financial considerations. If you’ve always fancied taking up photography but could never afford a decent DSLR you can now rent for a small daily fee, so at the very you’ll know if it’s for you before you commit. One of the most attractive parts of the sharing economy is that it gives people the power to produce their own income. Right now the majority of us are dependent on employment-based income, ie. you perform a task, you are paid by someone for it. However in a sharing economy, you are the producer and the benefactor of all the income. 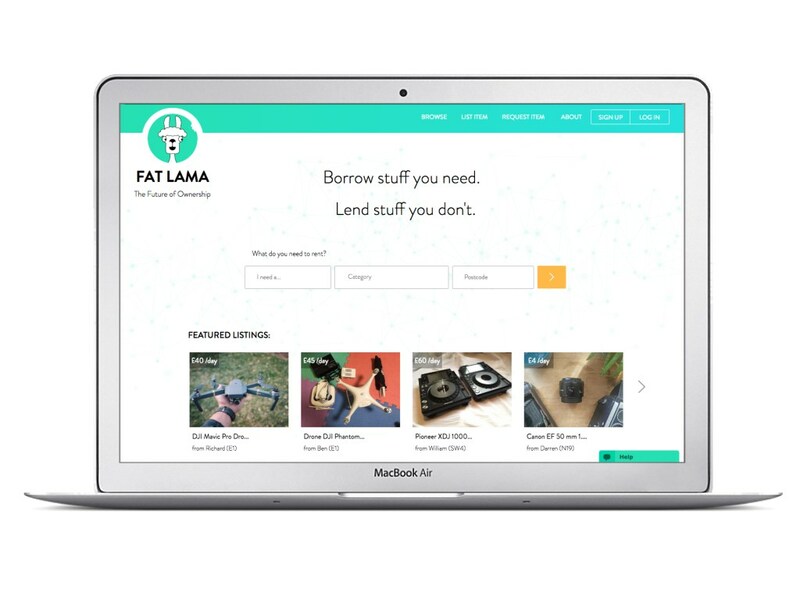 Start renting your belongings on Fat Lama and you could earn up to $5000 per month, a sum of money far over the country’s average income that is all yours. Being a lender, you reap what you sow; no one else can touch that money. This is just an overview of how sharing can change your life and by no means is the end of the story. So why not give it a go and see what else you stand to gain.